We are delighted to announce the amazing businesses and individuals who have supported our capital campaign. 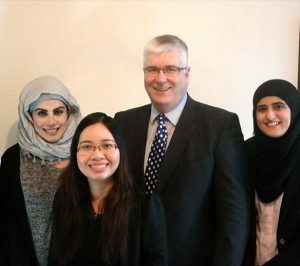 Warwick Vesey Solicitors in Birmingham who have kick started our £160,000 capital appeal by donating £1,400. “I was introduced to RSVP a couple of years ago and found out the kind of work they were supporting. I was impressed by the commitment to what can be a difficult subject to talk about. When I heard about the Capital Appeal I decided to make that our objective for the office charity of the year. I am really pleased that we managed to get £1,00 together in a short space of time to put into the appeal. We are aiming to double that over the course of the next 12 months.